Land and natural resources governance, which is transparent, accountable and managed in a participatory manner, is a major challenge in Cambodia. The surge of land disputes and conflicts due to commercial leasing of tracts of protected areas and forests for agribusiness development has not only resulted in wholesale dispossession of lands and livelihoods of rural communities, but is also threatening the Cambodia’s recent progress and achievements in poverty reduction. Growing landlessness, combined with diminishing access to common natural resources are increasing poverty and jeopardizing the food security of many poor rural households. Studies have shown that rural communities, especially women and ethnic minorities, engage in a wide range of activities in land and common natural resources to bridge gaps in income and compensate for transitory food shortages. Loss of land and access to natural resources are thus seriously undermining coping mechanisms which women and vulnerable groups depend on. Oxfam is working with local organizations at national and sub-national levels to increase and empower voices of small land-holder farmers to claim for free access and control over their resources. Oxfam also work with the government of Cambodia to enforce policy implementation favorable the small land-holder farmers and to create spaces for public participation on policy consultation. In India, nearly 275 million people (including tribal communities constituting 8.6% of the population) depend on forests for subsistence and livelihoods. Livelihoods of people living close to forests and within them are inextricably linked to the forest ecosystem as they depend on these resources for a variety of forest products such as food, fodder, agriculture, housing, and various other Minor Forest Produce (MFP). Oxfam India’s programme is focused in three of the resource rich tribal dominated states –Jharkhand, Odisha and Chhattisgarh – that are characterized by high levels of poverty. These communities also have very low Human development indicators; social as well as economic. These factors coupled with poor access to rights over forest resources adds to livelihood insecurity amongst them. Scheduled Tribes have been adversely impacted by rapid industrialization, mining and ‘development’ projects, being forced off their lands and from their homes. Oxfam India with its local, state and national level networks adopts a rights-based approach on tenurial security of marginalized communities to natural resources (especially forest land and resources). The focus is also to strengthen livelihoods through sustainable management of resources and access to energy. Along with our networks and alliances we have built credible evidence to inform national and state level policies. Oxfam India along with the partner’s advocates communities’ rights to free, prior and informed consent to any potential land use change. It does this by using multiple legal spaces and media advocacy. We also work with mining affected communities in our focus states with local partners and mining networks. One area of work is developing model plans for affected communities to use sub national mining revenues and influencing governments for replication. Indonesia is an archipelago country consisting of more than 17.504 islands with a total population 260 million – the 4th biggest country in the world. Land is a matter of interest for many stakeholders in the country, government, finance institutions, private sector, civil society organizations, women’s organizations, poor farmers as well as indigenous groups as inhabitants of forest areas. Land governance in Indonesia is key to inclusive and equitable development agenda. Our program on land in Indonesia focuses on increased access for poor farmers and fisherfolks, especially women, over land as productive resources to achieve national agenda for food security and women empowerment. Our expected outcome is to improve policy and practice to ensure that the rights of small scale farmers are recognized and protected by the government and the private sector, along with human rights and ethical business principles. We support partners to collaborate with government to promote access reform, participatory mapping on community land to overcome poverty and to boost economic development of local communities. We are challenging policy implementation of President Decree No. 86 Year 2018 to benefitting small – scale food producers, especially women, to reduce land inequality, promoting gender equality and increasing well – beings. We also develop unique approach across sectors by promoting multi-stakeholders dialogue through fair partnership principle for land based investment. 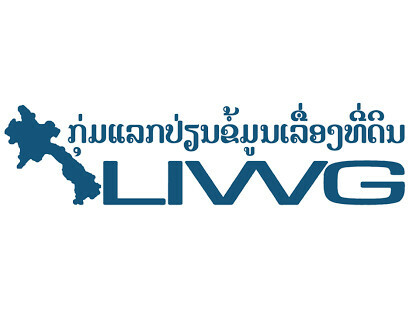 By 2020, Laos has the ambition to transition from its Least Developed Countries (LDC) status. This has caused the national government to open its natural resources to investments by foreign governments and companies. Over the last 40 years, political, economic and social problems have left Myanmar suffering extreme levels of poverty. Many communities have been affected by conflicts, loss of lands and loss of civil and political rights. There is no recognition of customary land rights and communal land rights. Land in Myanmar is particularly vulnerable to large Chinese investors and companies. Oxfam has been working to open spaces for national and subnational civil society actors, farmers, indigenous and ethnic groups in Myanmar for the reforms on the National Land Law. Furthermore, Oxfam is working on ensuring that responsible investments are being carried out by private sector in accordance to the country’s National Agriculture Development Strategy and rural land-based investments in the Myanmar Investment Law. 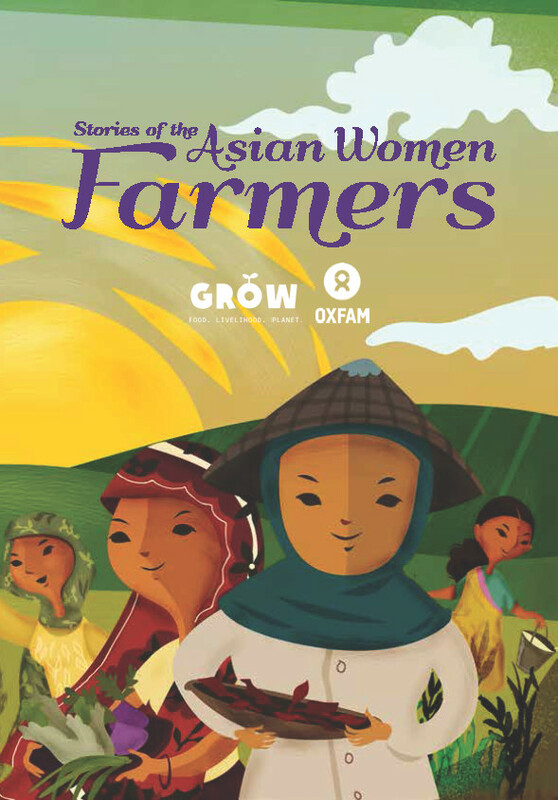 Priorities for Oxfam include raising awareness on land issues and rights, especially women’s rights, building alliances, and dealing with reform of existing land use legislation, for additional safeguards against land grabbing. REPORTWhose Crops, At What Price? Nepal has a population of almost 30 million, but is also one of the world’s 50 least developed countries. Despite its rich natural resources, an estimated 44% of the Nepalese population lives below the poverty line. Since 2007, Oxfam has successfully worked on strengthening land rights, especially of women. It has also been successful in piloting a Community Land and Agrarian Reform Model which is focused on increasing access of land poor and landless farmers to barren land available in communities. Oxfam is an active member of the consortium, the National Land Rights Forum, which is a network of Landless and Land poor farmers, spread across 52 districts of Nepal. This forum is active on claiming and advocating for the land entitlements, access of land use and reformative policy formulation on land and pushing for recognition of women’s lands rights. Oxfam Nepal has worked with the National Reconstruction Authority (NRA) to identify durable solutions for landless and land poor earthquake victims. Oxfam is furthermore focusing on advocacy around the Land Use Bill, which opens an entry point for communities who are willing to have their own land use and management plans. Insecure land rights due to unclear tenurial rights and lack of national land use law continues to exacerbate poverty in rural areas in the Philippines. Despite the presence of an agrarian reform law which was passed twenty years ago, land elites dominate the legislative body and who were able to block key reform provisions in the law. Currently, Oxfam helps agrarian reform beneficiaries (ARBs) negotiate equally with terms of contract with agribusiness chains particularly banana plantations. Access to land and fair share of natural resources has been hampered by the lack of an overall land policy in Sri Lanka. Still recovering from the effects of three decades of conflict, Sri Lanka continues to face issues arising from delays in returning lands in former conflict zones and use of such lands for development projects. Oxfam started working on land rights since 2011 and since then has been working closely with communities threated with evictions, affected by land grabbing and other unauthorised occupations. Oxfam established a national level land rights network, People’s Alliance for Right to Land (PARL) which proved to be effective in campaigning on numerous land rights issues across the country. All land in Vietnam is legally owned by the state, which has the power to acquire land from citizens and local communities not only for public purposes but also for socio-economic development projects that may primarily benefit private investors. In the past two decades, rapid industrialization and economic growth have put increasing pressure on land tenure – especially for small-scale farmers, ethnic minorities and women. Although Vietnamese land law treats men and women equally, women are disadvantaged in practice through certification, inheritance customs and conversion of land use rights. The state does not recognise ethnic minorities’ customary rights to communal lands. Since 2012, Oxfam has worked on land governance in Vietnam together with two multi-stakeholder coalitions, the Land Alliance (LANDA) and Forest Land Coalition (Forland). The coalitions have advocated for revision and enforcement of the Land Law (2013) and Forestry Law (2017), allocation of forest land to ethnic minority communities, citizen monitoring of land governance and equal rights for women in issuance of land use certificates. Over 3,800 hectares have been returned from state-owned companies to public use as a result of community consultation and engagement; another 500,000 ha are eligible for reallocation to communities and other stakeholders as a result of advocacy on the Forestry Law. Oxfam in Vietnam also contributes to multi-country efforts to promote responsible cross-border investment, supported by Oxfam Hong Kong and the Mekong Land Governance Project. This has included development of a set of voluntary guidelines for Vietnamese companies making land-related investments in Laos and Cambodia, currently being piloted by members of a Pioneer Group of companies.